There are a huge number of wearable activity trackers on the market, but few of those are directed specifically at women, an issue Bellabeat aims to fix with the Leaf. 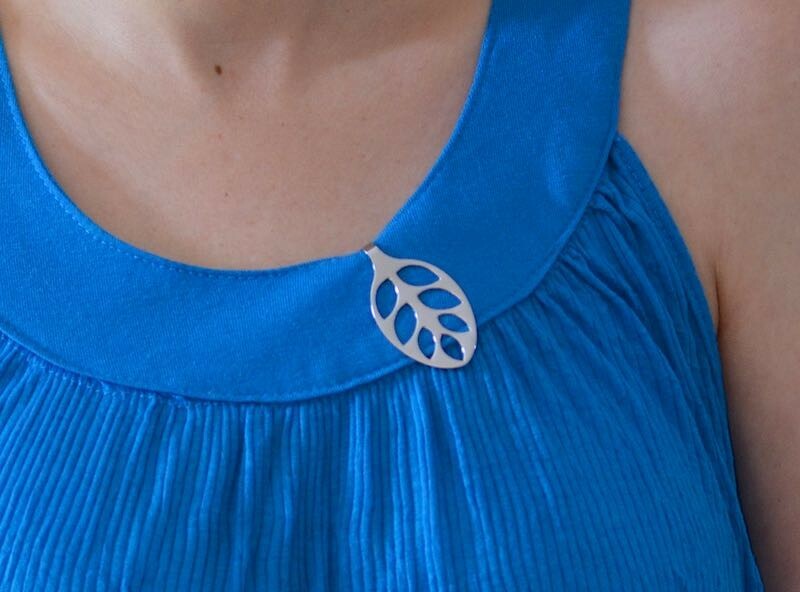 The Leaf is an activity tracker that looks more like a stylish piece of jewelry than a standard tracker from a company like Jawbone, Nike, or Fitbit, disguising itself as a "leaf" accessory able to be worn on the wrist, collar, or neck. 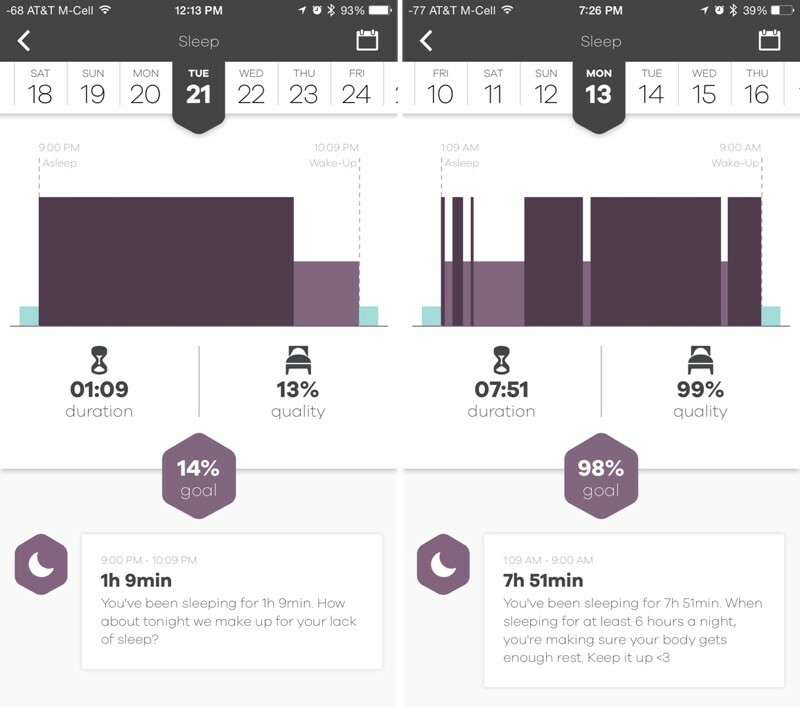 Like many activity trackers on the market, the Leaf tracks steps taken and sleep quality, but when paired with the app using Bluetooth, it also tracks menstruation and ovulation and it offers guided breathing exercises to reduce stress when worn around the neck, setting it apart from other fitness offerings. 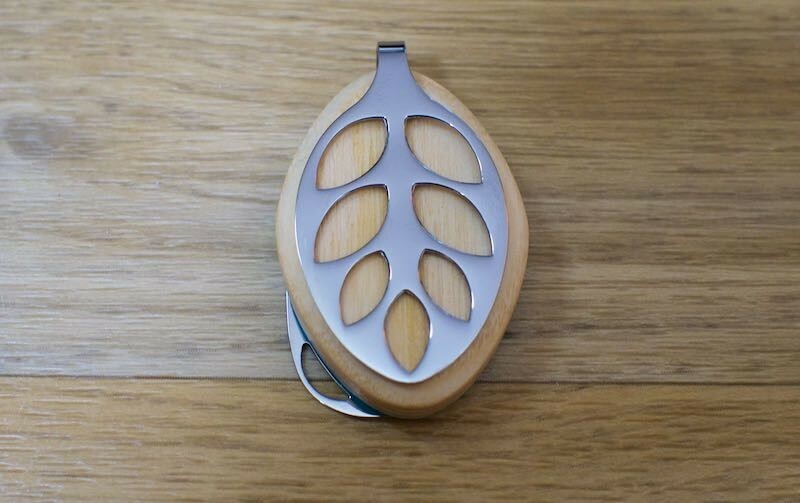 As the name suggests, the Leaf is a Leaf-shaped accessory consisting of a stainless steel backing, a wood base (American Ashwood) housing the activity tracker and battery, and a stainless steel leaf-shaped clip that fits over the wooden portion. With the clip, it can be worn on a shirt collar or hem (less than 2mm thick), and with attachments at the top and bottom, it can be attached to a chain and worn around the neck or attached to a leather loop and worn around the wrist. 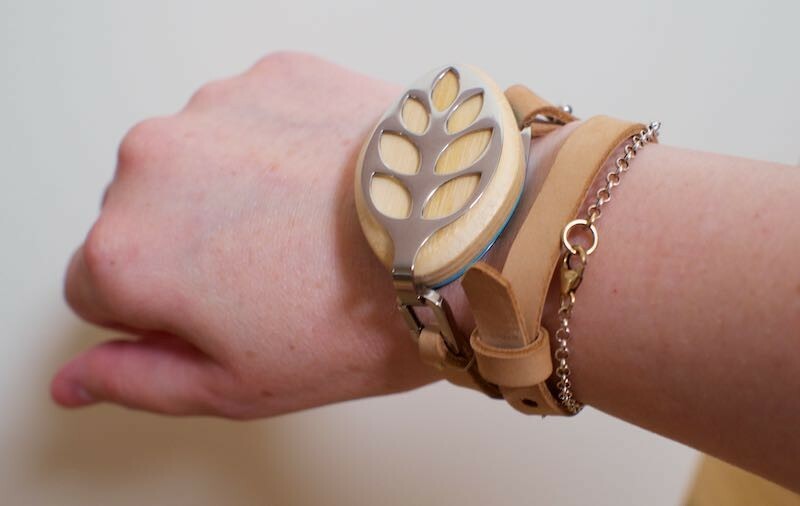 Both the necklace chain and the leather wrist strap ship with the Leaf. Size wise, the Leaf weighs 0.64 ounces and measures in at 1.89 inches by 1.18 inches and it's a half an inch thick. I am petite with small wrists and it fit on my wrist using the tightest wrap setting. 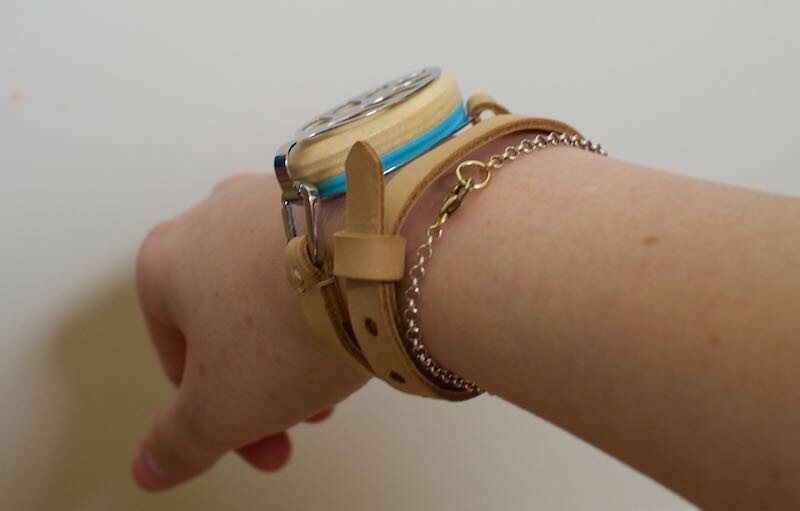 It was comfortable to wear on my wrist, but it looked bulky on me. As a necklace, it's larger than any pendant I would normally wear and its weight was a little uncomfortable at times, but for someone used to large necklaces, the size will be no big deal. It's definitely a statement piece. Clipped to pants or a shirt, it was sometimes too thick to be entirely comfortable, but it was something I got used to over the course of the testing period. The Leaf is versatile, but the versatility comes at a cost. For activity tracking, it needs to be worn on the wrist, around the neck, or on the collar of a shirt, but for breathing exercises, it needs to be worn at the waist, clipped inside your pants. When sleeping, the preferred method is attached to the hem of a pajama shirt. In any given day, to get the most out of the product, you need to shift the Leaf around several times. That's not much of a hassle when worn around the neck or on a shirt collar, but when worn around the wrist, the Leaf attaches to a leather wrap that takes time and effort to put on. With most activity trackers, they're worn one way and can be put on and forgotten, but that's not the case with the Leaf. In addition to changing the way I wore the Leaf on a daily basis, I also had to be mindful of keeping it away from water. 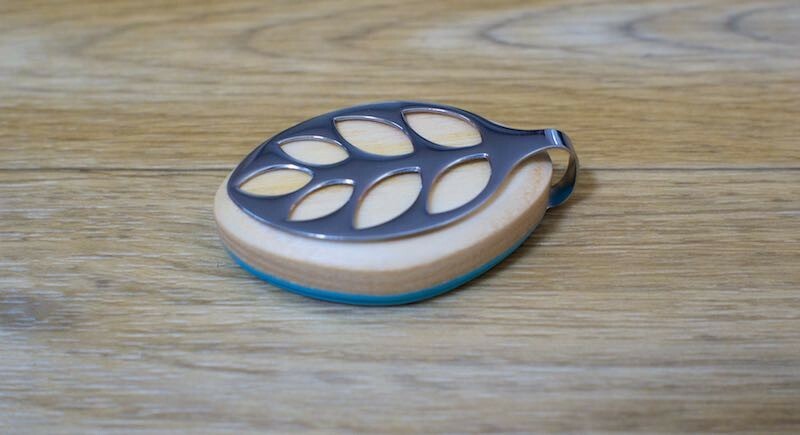 Since it's made of wood, the Leaf is not water resistant and can't be worn while swimming or in the shower. Bellabeat says it can handle sweat during a workout, which I found to be true, but I was cautious not to get it wet when washing my hands when I wore it on my wrist, because the leather band is also not going to hold up to water. The Leaf uses a standard CR 2032 coin cell battery available at any electronics store, so it does not require charging. Bellabeat says the battery lasts for approximately six months, but after two months with the Leaf, my battery is still showing up at 100 percent. Changing the battery won't need to be done too often, but it's a definite hassle. There are four tiny pentalobe screws holding the backplate on, so those need to be removed before the battery is accessible. I compared the Leaf to an Apple Watch and several other activity trackers and found its step counting to be reasonably accurate. When the Leaf was first released, the step counting could be off by quite a bit or recorded inaccurately by the app, but many of the early bugs have been fixed through app and firmware updates. It's a lot more stable and accurate today than it was a month ago. The Leaf is generally within a few hundred steps of other activity trackers, and it doesn't seem to be over or underestimating steps taken. It tended to pick up slightly more activity when worn on the wrist as opposed to worn a shirt, but that makes sense when you account for arm movements. It's best to wear it on the wrist or on pants -- on the collar of a shirt or around the neck, step tracking became less accurate. It's worth noting the Leaf only recognizes movement in the form of steps taken. It isn't able to detect when activity picks up, separating exercise from normal steps like the Withings Activité or Apple Watch might, and it's not able to record workouts of any kind. Also, while my Leaf seemed to be within a few hundred steps of what my Apple Watch was recording, there are complaints on the company's Facebook page and in the App Store suggesting other users are having more trouble with activity tracking accuracy. As for sleep tracking, I initially struggled getting the Leaf to automatically put itself into sleep mode, which is when I learned that for sleep, it's best to clip it to a pajama shirt or bottom. When worn on the wrist, it won't always go into sleep mode. Clipped to pajamas, it was better about detecting sleep, but was still unreliable -- it couldn't always tell when I got into bed and often recorded far too much or too little sleep. While relying on automatic sleep tracking does not work all of the time, there's an option to enter exact sleep/wake times in the app. The Leaf is still recording movement, so when sleep/wake times are entered, it can then go on to estimate how much light sleep and how much deep sleep was achieved each night. Sleep quality estimates with the Leaf and other activity trackers are always of questionable use because there's no way to determine their accuracy. The Leaf in particular seemed off because it never detected times when I got out of bed during the night. Wearing the Leaf, the Jawbone UP, and the Withings Activité Pop during one night of sleep resulted in three very different sleep maps. Sleep tracking is useful for measuring how much overall sleep you're getting each night, but I wouldn't read too much into the quality breakdowns. Bellabeat advertises three main aspects of the Leaf: sleep tracking, activity tracking, and breathing exercises to control stress. 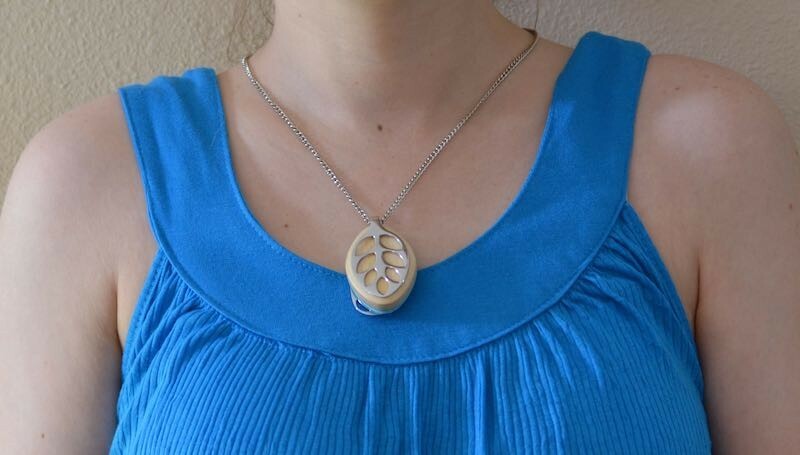 Before the Leaf was released, the marketing materials suggested it would be able to track breathing during the day when worn around the neck, determining stress levels, but that's not how the breathing feature works in the final product. Instead, what the Leaf does is measure breathing through guided breathing exercises. To use the breathing exercises, the Leaf needs to be attached to the inside band of a pair of pants, resting against the stomach. 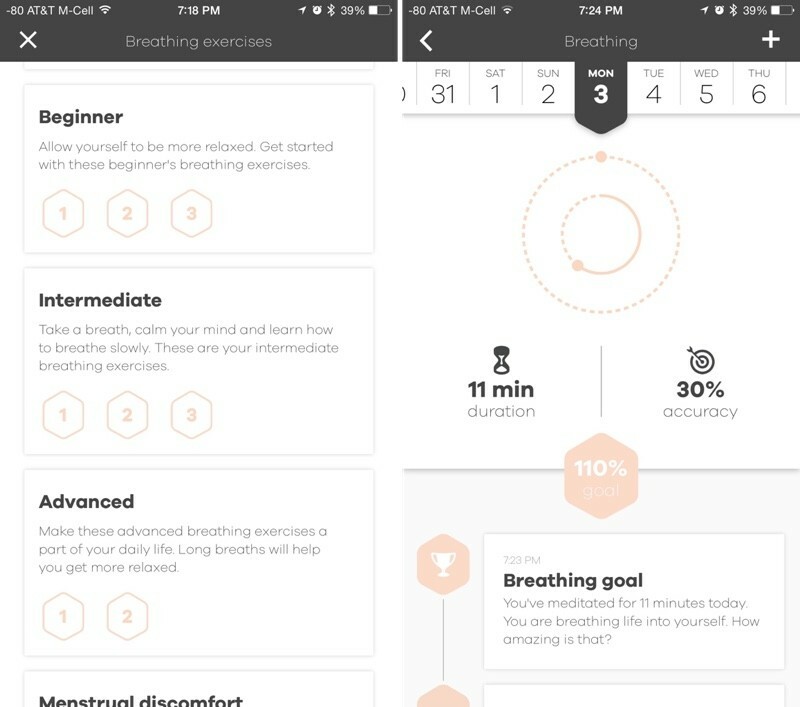 A breathing session is initiated through the app, where there are several levels of breathing exercises, kicked off with a tutorial. The app encourages users to spend up to 15 minutes a day doing breathing exercises, and this is a feature I was not a fan of at all. The breathing exercises are guided by a recording giving vocal instructions on technique, instructing users to breathe through their noses while constricting their throats. I was never clear on whether I was breathing in the right way based on the ambiguous instructions, and at no point was the Leaf able to correct technique. The idea is to breathe throughout the five or six minute exercise, getting a ranking at the end on "accuracy." The first time I did the breathing exercise, I earned a 0 percent accurate score. I thought I was bad at breathing, but it turns out the Leaf needs to be very tight against the stomach -- the band of my shorts lot wasn't tight enough. The second time I got a score of 60 percent, but I was never clear on what accuracy represented. I did several days worth of breathing exercises, but ultimately, I gave up on them. They're supposed to relieve stress, but I didn't find them to be beneficial and the act of doing them didn't provide me with any useful information. Someone more interested in using breathing techniques for relaxation may find the breathing component of the Leaf to be a useful and beneficial addition to the activity tracker, but it wasn't a feature I found compelling. I'm disappointed what was originally advertised as stress detection has been pared down to guided meditation. Bellabeat's website still says the Leaf is able to "evaluate stress," but I never received any stress-related alerts or recommendations. An activity tracker like the Leaf that doesn't have a built-in display relies on its accompanying app to deliver information to users, and the quality of the app has a huge impact on the usefulness of the product. The Bellabeat app has a pleasing aesthetic design, but even after multiple updates, it's riddled with bugs and it's missing a key features. On a near daily basis, it logs me out and I need to log in again, which is an ongoing frustration, and there are frequent freezes and crashes. Syncing is also tricky at times. To sync the Leaf with the app, you need to tap on it, which doesn't always work. I often need to tap multiple times to get it to sync. 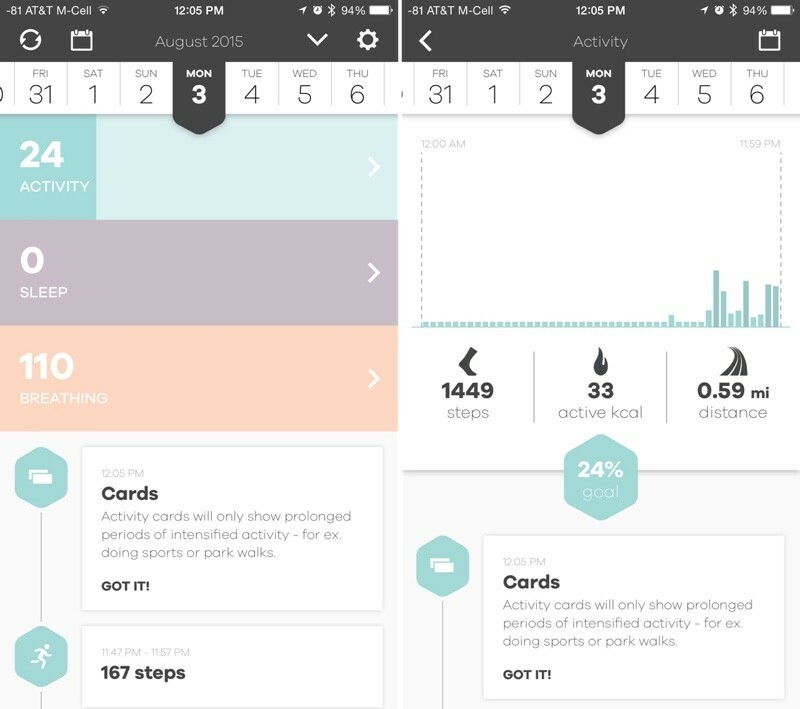 For each day, the app displays activity level, sleep duration, and the amount of time spent on breathing exercises. There are bars to represent each metric, and a tap on the bar displays more information, such as active calories burned, exact number of steps taken, and distance traveled. 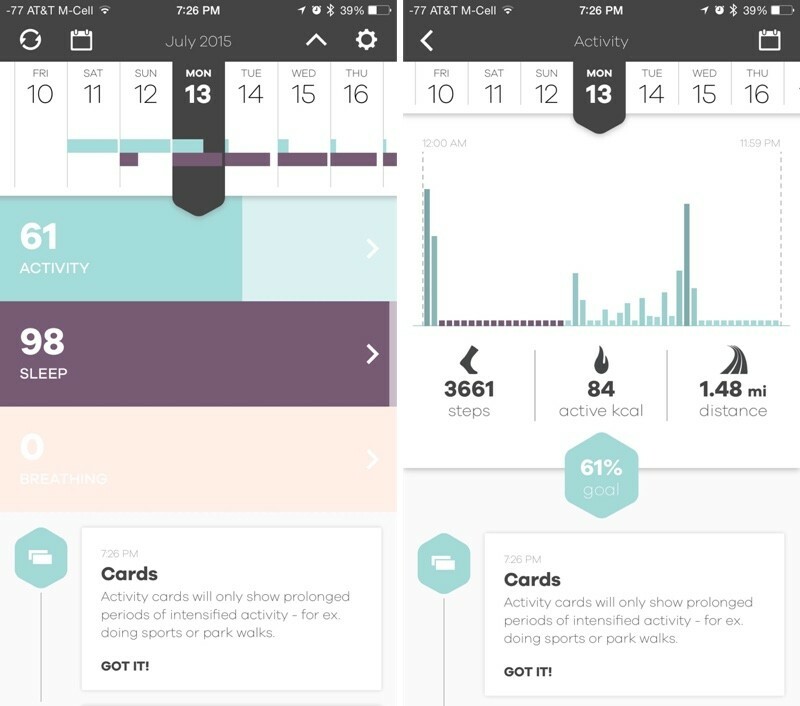 With most activity trackers, there's a way to view overall activity and health over time, but that's not a feature in the Leaf app. There's only a day view and a basic week view displaying simple bars, so obtaining historical data over time is impossible. The Leaf app offers period and ovulation tracking, but it's rudimentary. 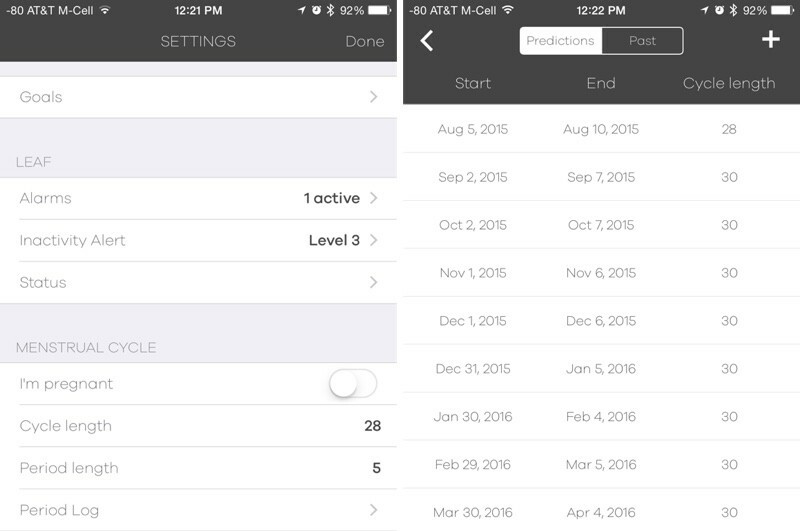 The app has a section for entering the first and last dates of a menstrual cycle and it uses the information to predict future ovulation and period dates. Tracking menstrual cycles and ovulation times by date alone is inaccurate in a best case scenario, and not at all useful for someone with an irregular cycle. There are a few other features in the Leaf app. It's possible to set alerts that cause the Leaf to buzz after long periods of inactivity, based on five different preference levels, and there's a feature for an alarm that will cause the Leaf to buzz at a designated time to wake you up. The buzzing feature of the Leaf is fairly subtle, so it's only going to wake the lightest of sleepers. This is not an alarm I'd rely on to wake up for work. Alarms can be set for other things like pill reminders, but alerts and alarms all have the same vibration pattern, making it difficult to tell the reason behind why the Leaf is buzzing. The Leaf is a unique-looking activity tracker that's more versatile than most options on the market, but there are definite downsides that will discourage some users from purchasing the Leaf over other activity trackers. It's not a device able to be worn all the time because it's not waterproof, and the different modes require it to be worn in different ways. Activity tracking is accurate if basic, but potential buyers should be aware sleep needs to be entered manually due to inaccuracies and its "stress tracking" is essentially non-existent. The app is also overly basic and missing many features in comparison to the apps from competing activity trackers, and not all buyers are going to like the breathing exercises, which is a major selling point of the device. On the plus side, the Leaf is an attractive piece of jewelry and Bellabeat is off to a solid start. Many of the problems with the Leaf can be solved through app updates, firmware improvements, and small feature additions, so it has the potential to improve quite a bit over the next few months to become more than just a pretty pedometer. I would recommend waiting for Bellabeat to resolve some of the bugs with the app before purchasing or pre-ordering the Leaf, and I'd encourage potential buyers to compare it to other activity trackers on the market before making a decision. The Leaf earns a lot of points for aesthetics, but it fails to measure up in functionality for the time being. 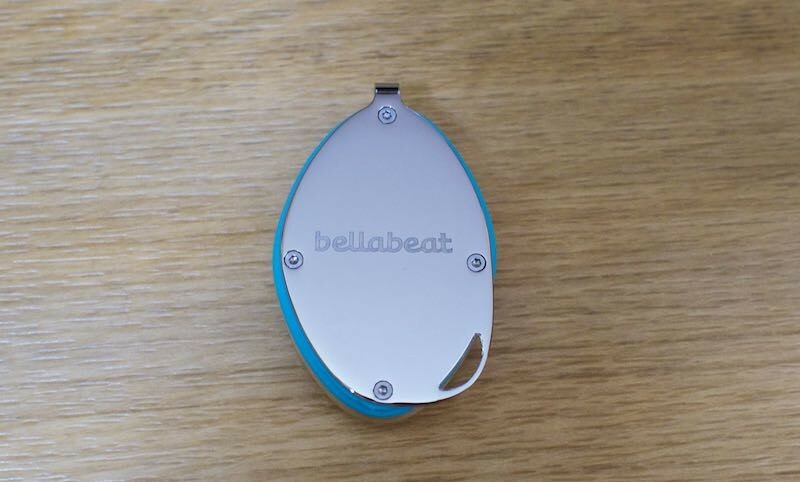 The Bellabeaf Leaf is being sold in batches, and the first customers who ordered have already received their devices. 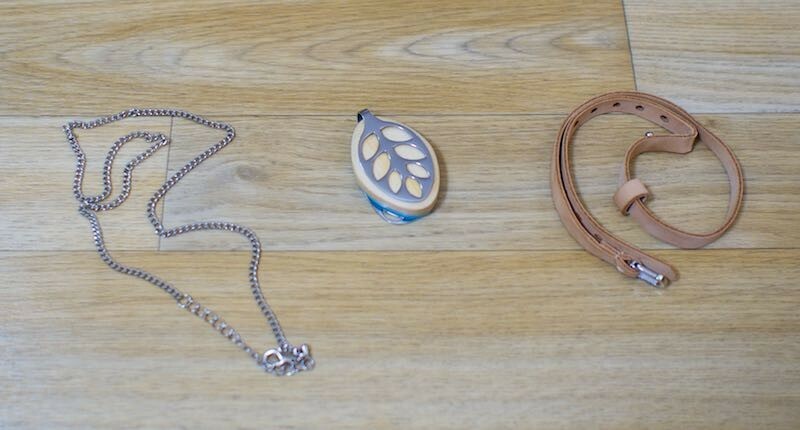 Bellabeat is planning to ship out Leaf activity trackers to customers who ordered in the second and third ordering rounds, and is currently allowing new customers to sign up for a waitlist to order during the fourth round. I Just wanted to comment and say thanks for the review. I know sometimes you get a lot of crap for reviewing products from unimaginative people on the forums, but I find your reviews very helpful. They are very in depth, down to earth to take into account real world usage, and are often of products that other reviews are hard to find. I was considering this as a gift for my wife, but your review has convinced me to wait for V2, if it comes. I love the styling, but the size (particularly thickness) is too much and the functionality needs work too. Thanks! Appreciate this. Comments like this are the reason I spend time doing reviews -- they're definitely not easy! I'm looking forward to Leaf iterations in the future. If Bellabeat can make the battery a bit more accessible, clean up the software and cut the size just a bit, they'll have a product that will fill a serous void in the activity tracker market. Well, that explains the… distinctive design. Pretty cool to incorporate wood in a piece of modern technology.